How Does Bandon Dunes Compare to Scotland? Should I go to Bandon Dunes or Scotland? How different are they? The weather is the same, right? How about the cost? These are all common questions that I receive via email and social media from website readers. And, up until earlier this month, I could never answer it! I lived in Scotland for four years playing golf almost every day, but I had never made the journey to Oregon. Thank to LINKS Magazine, that has changed. I made the trip out to Bandon in the context of my position as Assistant Editor at LINKS, and while I am no Bandon expert after one trip, I will try to compare the two here. I recently recorded a podcast on the topic with Ru Macdonald, my partner in crime at the Scottish Golf Podcast. We discussed the topic on the episode embedded below, so give it a listen. Also, check out my overview article for LINKS here. This is obviously the most important point! I was surprised with just how “linksy” the courses at Bandon Dunes played. They were very firm, the lies were very tight, and the wind was blowing a gale. I don’t think I’ve ever seen turf in the US that is as similar to Scottish fescue (well done, Jimmy Kidd et al). The courses at Bandon reminded me of the modern Scottish links (Kingsbarns, Castle Stuart, St Andrews Castle Course, and others). They really can’t be compared to the Old Course, Carnoustie, or other ancient links. They are totally different designs. I will say that the courses at Bandon Dunes were certainly the closest thing to Scottish links golf that I’ve ever seen in the states. I suspect that once you’ve been to Bandon, the urge to see traditional Scottish courses would grow instead of being satiated. After a one week trip to Oregon, I am by no means an expert. However, I will say that I didn’t see a single cloud during my time there. It was 55-70 degrees depending on the time of day during the trip in August. I was told that the summers are usually very dry, and while the shoulder seasons can be less predictable weather-wise, they can often be the best times of year to go. Scotland is obviously less predictable with its weather. You can see every season in a single day, but if rainy or windy weather is enough to put you off a Scottish trip, you don’t have the right mindset anyway! I’m not the first to say that reaching Bandon Dunes isn’t easy, but I’ll state it here again. When I flew from Savannah, I went via Atlanta and San Francisco to North Bend, Oregon, which is 35 minutes from the resort. 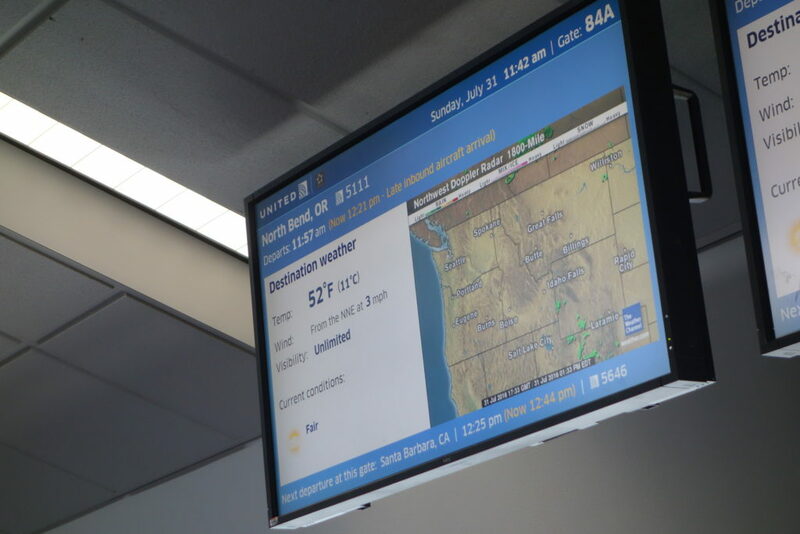 A co-worker from California flew Los Angeles – Salt Lake City – Eugene, which is a two and a half hour drive from Bandon Dunes. Getting to Scotland from the west coast of the US isn’t easy either, but if you’re on the east coast, it’s not bad at all. If you can’t fly directly to Edinburgh from the northeast, you can certainly connect through London from just about anywhere else. Depending on time of year, the flights from the east cost to Scotland or Bandon can be comparable. Often flights to the UK will be $100-300 more due to international fees and taxes. On a different note, getting around Bandon Dunes once you’re there is dead easy. Free shuttles take you from course to course, and they run 24 hours a day. It doesn’t get much easier! Scotland on the other hand requires a rental car, transportation company, or public transportation to get from region to region. I strongly suggest setting up a one or two region base for Scottish trips because of this. While Bandon isn’t filled with the frills of other resorts (a good thing), it has everything a golfer could need. A steam room, sauna, cigar bar, etc., is at your disposal, and everything is updated and modern. It isn’t an amenity, but even the process of booking a last minute tee time is easy. Pro shops can see other courses’ tee sheets, and booking a new time automatically notifies your caddie via text message. You don’t have to do a thing and it all gets charged back to your room. The luxuries in Scotland take a little more work on your part. Many hotels have spas and great amenities, but it isn’t part of a tidy package like Bandon. If you’re staying in a B&B in Cruden Bay, don’t bother asking for the spa. That being said, Scotland has the characterful local pubs, restaurants, and sites that can’t be found anywhere else in the world. This is another area where the experiences are totally different and direct comparisons don’t tell the whole story. At the time of writing (August 2016), the dollar is very strong against the pound. To compare apples to apples, let’s consider a 5-6 day trip to both locales, staying in one area (St Andrews in the case of Scotland). The accommodation level in Scotland will be a standard, locally owned hotel similar to the rooms at Bandon’s Lodge. Playing one round per day, both trips will run you about $3,000-$3,500 depending on the level of food and beverage that you consume. Both trips could be done for slightly less if the group rents a house or cottage and splits the cost. Trips to Scotland also become more expensive as you add additional regions, which introduces the need for a rental car or travel company. This isn’t a factor at Bandon Dunes with their shuttles and the close proximity of every course. A final factor is flexibility. You can go to Scotland, stay in B&Bs, play smaller local gems, and make out like a bandit. You could spend $1,500 for a week trip if you needed to. That flexibility isn’t there at Bandon – but they’d be the first to admit that they aren’t trying to service the lower end of the market. There isn’t a black or white answer to which place is better. I know that it sounds like a cop out, but the decision is a matter of preference. Which is better – Mercedes or BMW? Same sort of question. Bandon Dunes is an incredible resort where you arrive and don’t have to think about anything else. Scotland takes more work, but can be extremely rewarding in a completely different way. If you’ve got the time and money, do both! If you have to select between one or the other, weigh up what is most important to you and how you want to spend your time. Thank you for your article. I have played in Scotland 5 times and never at Bandon. I will say, if you are willing to put in the work (I stay in Crail or at St. Andrews University), rent a car, get on cue very early for the Old Course (or annual, daily ballot) you can save a lot of money. You are golfing all day anyway…who needs to stay in a castle or spa hotel? I believe both venues are must plays but if you had to choose one would you rather go to your grave saying you played the Old Course or Old MacDonald? Hi David, thank you for the comment! You are totally right about putting in the work. Going to Scotland requires more work and input on the front end of the trip, but that effort is incredibly rewarding as you well know. I hope my point comes across that one place isn’t necessarily “better” than the other. Instead, they offer two very different experiences. Eugene Oregon is only 2.5 hours away from Bandon Dunes and not 4 hours. If you’re planning a trip to Bandon Dunes during the high season (June-Sept) there’s not need to stay 5-6 days because most people play 36 holes a day therefore 4 full days is sufficient. You also failed to mention the 13 hole par-3 Preserve course (which allows 8-somes) and the Punchbowl 2.5 acre putting course with cocktail service. In addition, the shoulder season (Feb-Apr) is 40%-60% less expensive with great stretches of weather and usually when Bandon gets it’s annual high temperatures of 80+ degrees, but usually 55-65 degrees is the normal. The winds during the winter and early spring blow from the south and from the north during the summer making the courses play totally different depending on time of year. February is also the prettiest time of year as the gorse is in full bloom. Hi Jeff, thank you for the comment and for pointing out my mistake! I just updated it in the post. A few points: I mentioned the 5-6 day trip as an attempt to compare prices as exactly as possible. On another note, 36 holes a day for four days in a row would have most mortal men crawling on all fours back to the airport. You are stronger than me! The Preserve and Punchbowl weren’t missed. Both will be featured in my upcoming course reviews from the trip. This post didn’t get into courses. Instead, I will write about them in individual course reviews on the site. Great points about the shoulder seasons. I think that’s the time of year that I’ll go next, whenever that is. I appreciate your insight! Thanks for your article. I did hear you on Ru’s podcast. My father and I travel to Bandon in 2 weeks from Australia and very much looking forward to seeing the courses first hand. 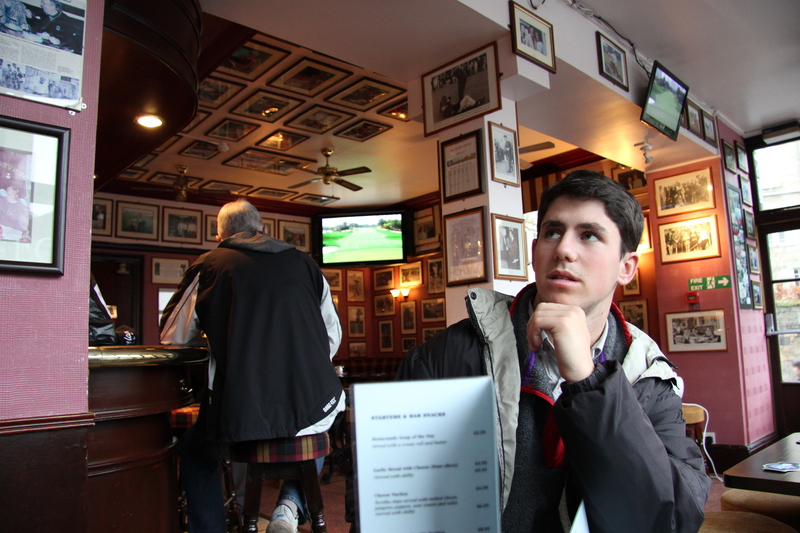 For us a trip to the US and Scotland are quite similar in time and money so the courses can be a direct comparison. Not sure we will get 36 holes in as Dad, whilst very fit for his age, is 78. We have a caddy for him to make it a bit easier so we see how it goes. We are to go on and play a few more courses in the US to assist in justifying the costs. I will report back after we play. Hi Wayne, please do report back! You guys will have a great time. It isn’t necessary to get in 36 holes while there, so don’t worry on that front. Like one of the previous commenters said, you have the Punchbowl and Preserve if you guys do feel like pushing past round one. 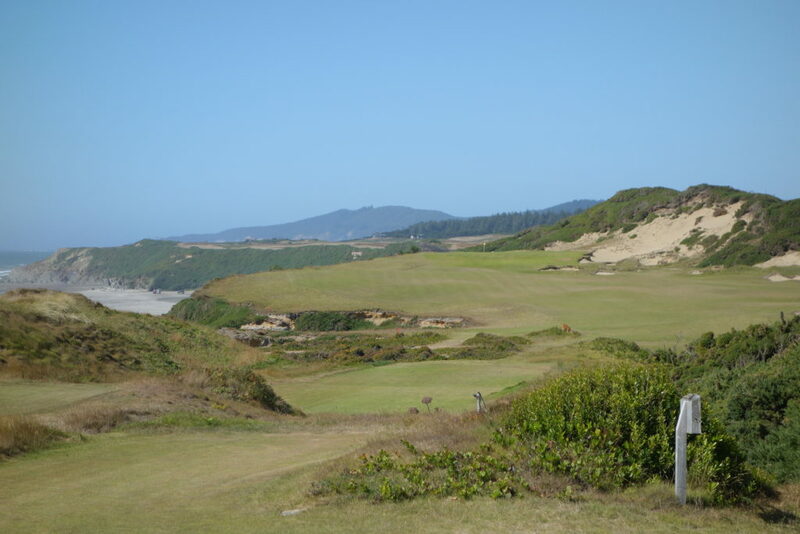 Let me know what you think of Bandon – I loved it. Also, ironically I am traveling to Australia next month for a very quick trip to the Melbourne area… I can’t wait for that one! Hi Graylin, it frustrates me that so many people adopt the blanket view that Scotland is “better”. Why would you even opine on the subject if you have made multiple trips to Scotland and not once considered Bandon? You rightly point out that you’re comparing two very different animals. Nothing in Scotland can touch the sheer vastness and scale that is evident at Bandon and the courses are far more playable than all but a small handful of Scottish courses due to the width and lack of rough on all courses – no ridiculously narrow fairways flanked with ball gobbling rough like in Scotland. The courses are also breathtakingly beautiful and there is an artistry to the shaping, bunkering etc that is virtually unmatched anywhere. I love Scotland and it has a lot to offer, but there are certain things that Bandon can offer that Scottish courses can’t. It’s golfing heaven. If you love golf and have an open mind you will go. Those with a closed mind are welcome to dismiss it but they’re missing out! Hi Brian, a few points to address with your comment. I think you missed a few things… I made a weeklong trip to Oregon recently and lived in Scotland for over four years. I wrote the post because I get asked the question multiple times every month. Prior to visiting Bandon, I couldn’t give a qualified answer. After the visit, which I loved, I decided to make a post and direct all questions here instead of answering each individual. I don’t think anyone here has made a blanket statement that Scotland is better. I’m glad you agree with me that the two destinations are completely different. That being said, to say that nothing in Scotland can touch Bandon is naive. 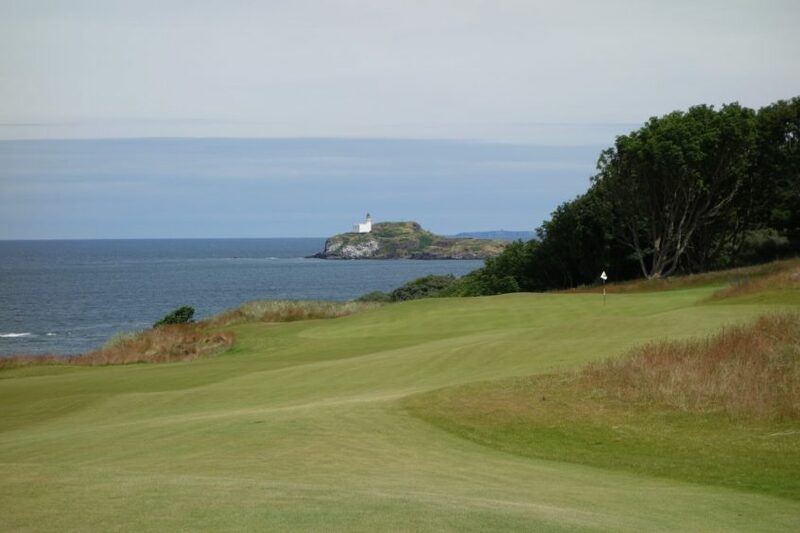 Especially considering the stated inspiration for Bandon and its courses was Scotland and Scottish links golf. There are four courses at Bandon Dunes and over 550 courses in Scotland… like I said, very different. If you’ve only found a “small handful” of Scottish courses that are playable, you’ve been looking in the wrong places. I’d be happy to give some recommendations, but they’re too numerous to write in a single comment. Bandon was amazing and after many years of wanting to make the trip, I’m glad I finally got to go!